Heading out for parts unknown, searching for lost treasure, discovering ancient civilizations, fighting the mysterious forces of evil and finding helpful allies, all in far-way lands not on any map! Check your compass, secure your gear and plot your course: It's all in a days work for the ADVENTURERS! 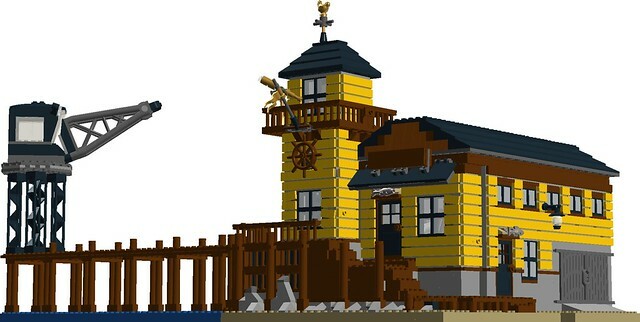 I took the "Old Fishing Store" Ideas set number 21310 and turned back the clock on it from a rundown fishing shop in the modern era to a modular 1920's supply depot for Johnny Thunder and his friends, also known as the Adventurers. 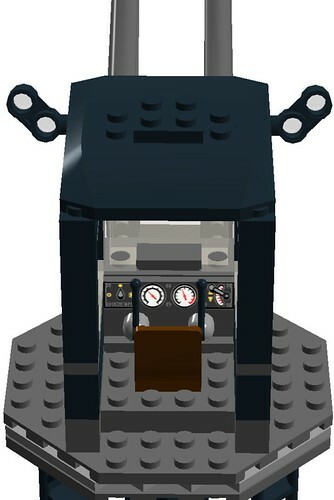 I added a set 7596-style freight Crane that's a part of "Trash Compacter Escape" (a Toy Story 3 set from 2010). 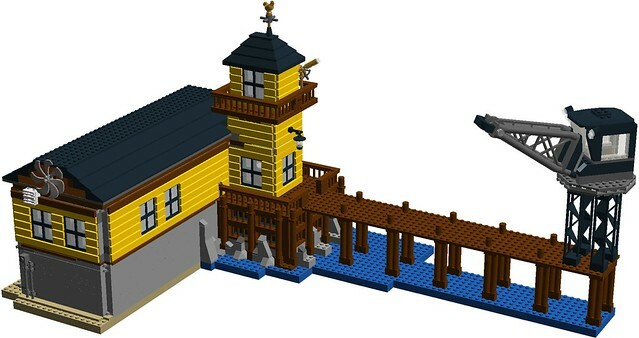 I revised the color scheme of the mainly yellow building instead of the original sand green, and removed a ton of the mixed bunch of colors that were used a "patch jobs" on the dock and building proper. 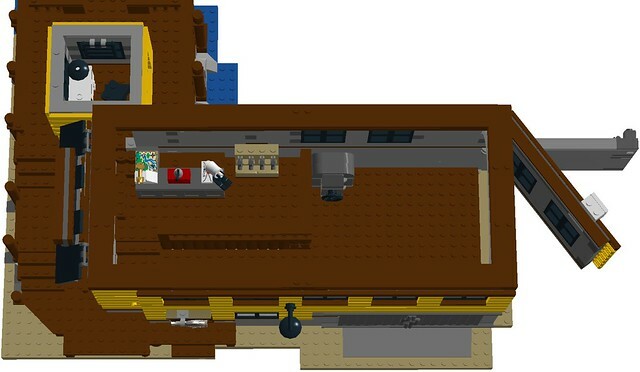 I removed the roof and redid it completely to be brick-built with slopes instead of plates and tiles at an certain angle. I also stripped the many windows styles off and replaced them with a single type. I added a warehouse section to the lower floor by sending one of the walls about 16 studs back, allowing for storage space for various equipment not yet designed. The back wall of the building shows off the new wall art placed on the roof section of the building: a giant propeller from a ship of some kind. I also am going to use the "Great" and "West" printed parts for the sign out on the front of the building where the "Anton's bait shop" 4 x 2 tile originally was. The back wall still opens in two sections, but the inside is a rough estimate. Some parts I already have from my previous depot model from almost 1 1/2 years ago, such as the safe, radio and various maps. Also, the two freight loading doors actually open and shut quite nicely. The model comes apart into four sections, with the main roof, tower, tower roof, and main building + dock all separating from each other. The crane was totally copied from my previous depot model, which itself was duplicated and color-changed from the dark green / white one in the Toys Story 3 set I mentioned earlier. 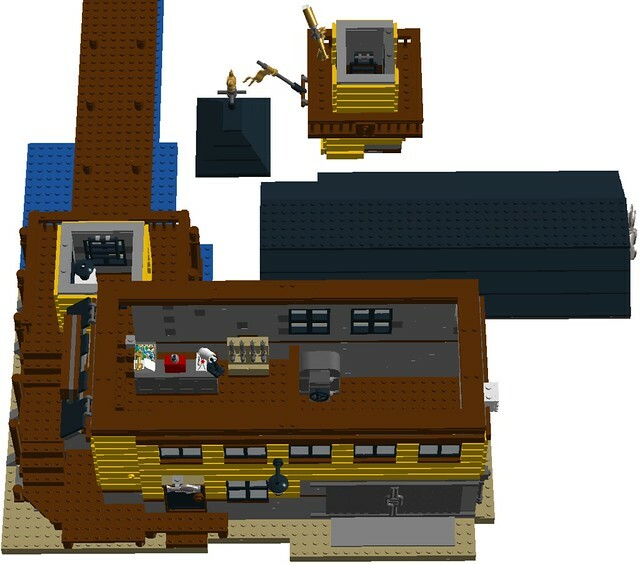 That's all I've got so far with the building (which is coming soon in real bricks)... any thoughts or ideas for this model? As usual, Comments, Questions, & Complaints are always welcome. Stay tuned for real life pictures that might be coming in October. If you want the LDD file, it is here. Very nice! I like how you made it yellow it instead of sand green! 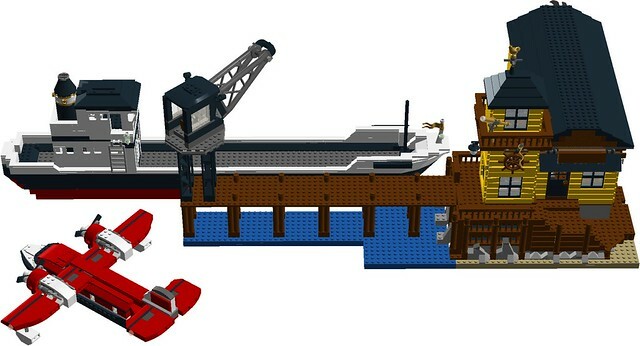 And I like the look of that ship near the dock! Thanks @Hart New Bob! I really debated back and forth on the color: first the sand green, then dark bluish gray, on to regular green, and finally yellow. I think it stands out this way from all the other buildings on my layout. Main post updated with a bigger, better depot!